Children shouldn't just read about history, they should live it. 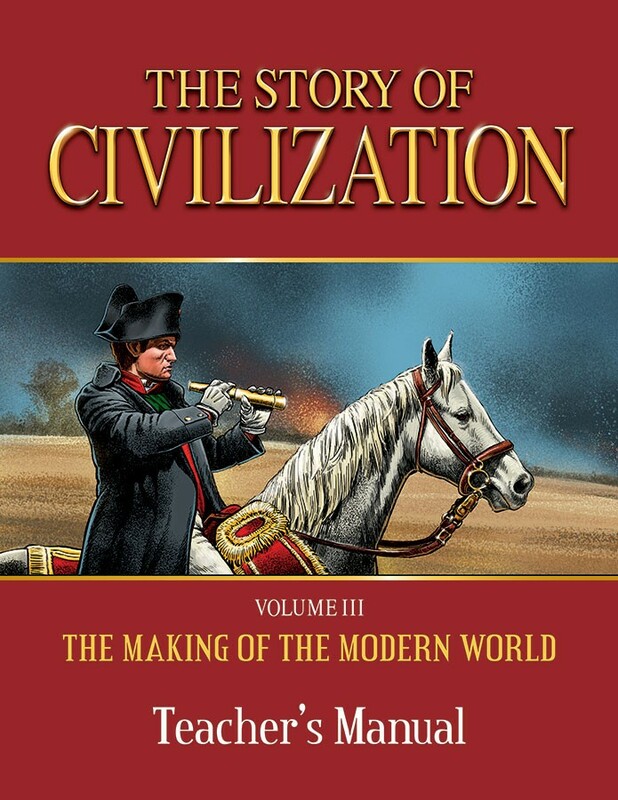 In The Story of Civilization, the ancient stories that have shaped humanity come alive like never before. Author Phillip Campbell uses his historical expertise and story-telling ability together in tandem to present the content in a fresh and thrilling way. 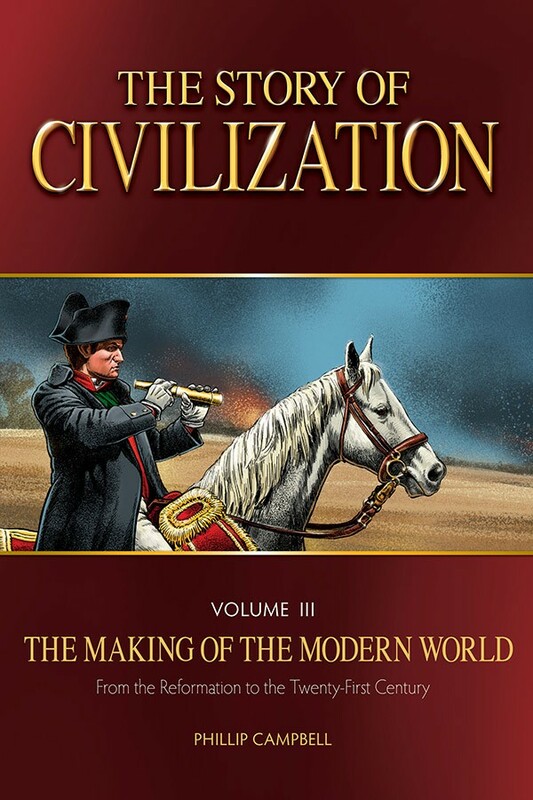 Volume 3, The Making of the Modern World continues the journey, offering 35 chapters covering the time period from the Renaissance to our own times. It begins with the history-changing events of the Reformation and the fracturing of the Church that dramatically altered the course of modern Europe and the world at large. But during this tumultuous time, God gave us some of the greatest saints. Children will meet great figures like Sts. Pius V, Thomas More, John Vianney, and Margaret Mary Alacoque. They will also meet powerful political leaders like Napoleon and Kings Henry VIII of England and Louis XIV of France. This volume brings us through present-day Europe, showing us the affects of two world wars and how the Church responded to these changing times. 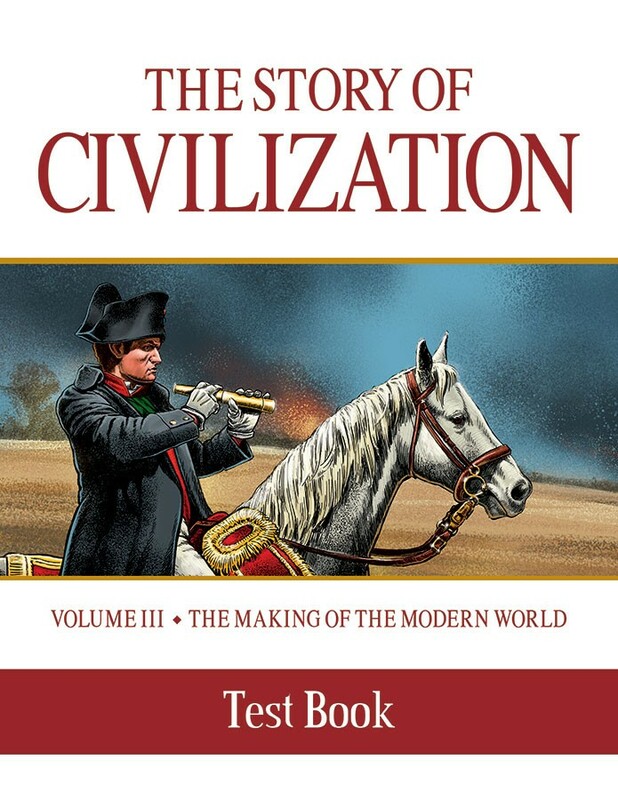 This test book serves as a companion resource to The Story of Civilization: The Making of the Modern World. With this book, students can test their reading comprehension and further educate themselves on the content found in the text. One quiz corresponds to each chapter in the text book. Questions for each chapter are suitable as a study exercise or as an objective answer test, with an answer key for teachers in the back. The questions include matching items, multiple choice, and true/false. The suggested age range for the Test Book is 5th – 8th grade. 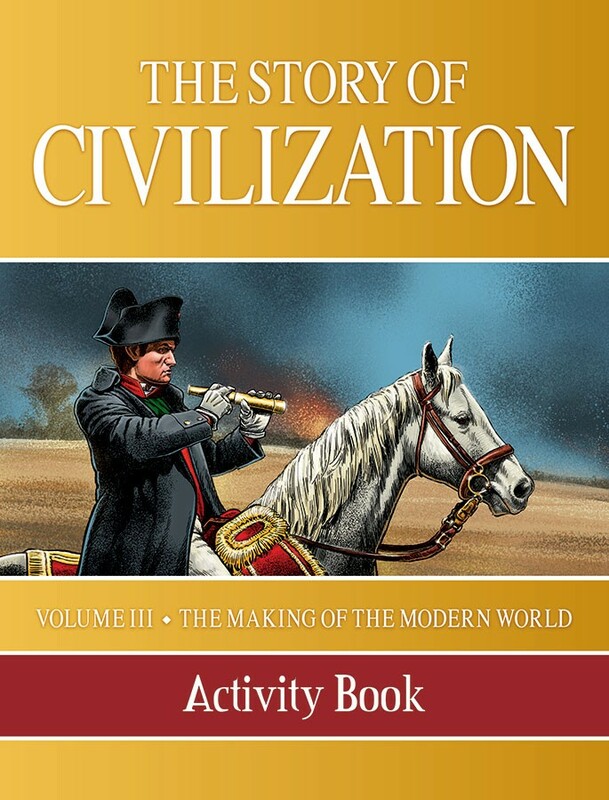 The Activity Book and companion Teacher’s Manual provide a complete review of The Story of Civilization: The Making of the Modern World, along with creative activities to accompany each chapter, including: Reading comprehension questions; Narration Exercises; Map Activities; Coloring Pages; Crossword Puzzles and Word Searches; Craft Projects unique to each chapter; Fun Snack Ideas and Recipes; Science Projects that illustrate the lessons learned in the chapters. The Teacher’s Manual contains answers and directions to the exercises found in the Activity Book, it also has its own additional activity suggestions, review questions, narration exercises, etc. 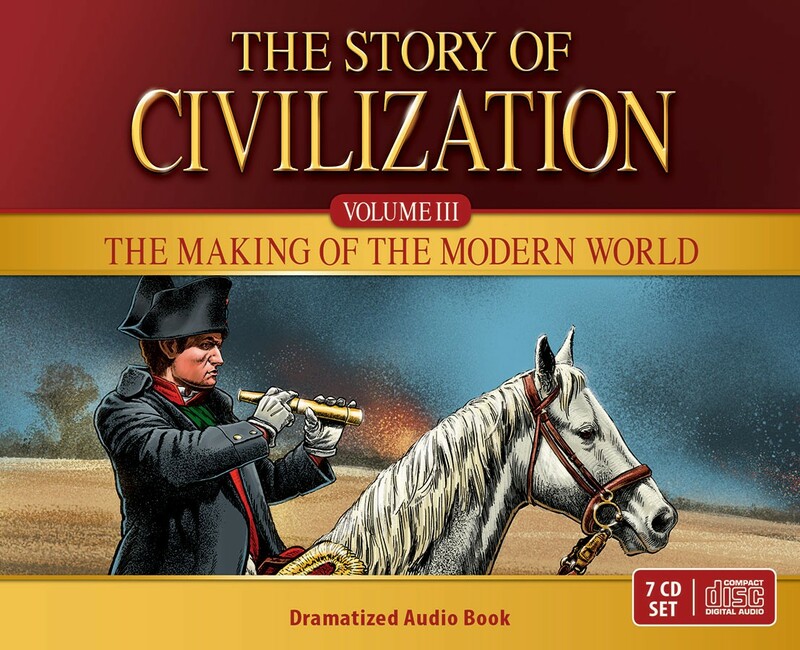 Talented voice actor and audio book producer Kevin Gallagher returns to bring children the history of the world in this riveting reading of The Story of Civilization: The Making of the Modern World. Your children will be transported back in time through the sound effects, music and voice acting that complements the reading of the text. Whether looking for entertainment on a long road trip, enhancing the experience with the text, or catering to the needs of a child with a reading disability—this audio dramatization will open up a new world of adventure for kids of all ages. 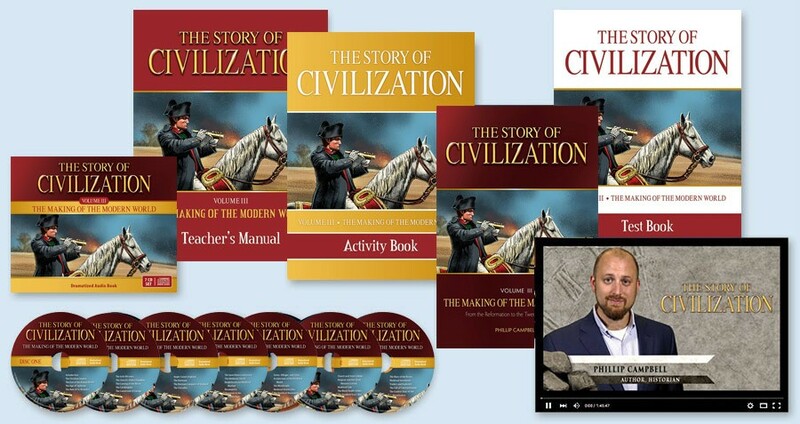 In this lecture series, author of The Story of Civilization, Phillip Campbell leads students on a chapter-by-chapter journey, reviewing the events, characters, and lessons that make up Volume III. This companion piece to the text is meant to assist parents and allow a hands-off approach to their lesson planning. In each of the 35 video lectures, students will find: A 10 minute narrative review of each chapter; A discussion of key figures; Further explanation of historical events; Engaging visual aids and graphics; A short quiz to test their knowledge After viewing these lectures, students will be able to turn to their workbooks and test books with confidence! The videos are available on www.tanhomeschool.com. At purchase, you will receive a card with a digital code needed to access the videos. Keeping track of the people, events, and dates that shaped history can be difficult. With this fun, comprehensive, and engaging timeline that employs an easy to follow format and vibrant illustrations, students will have the help they need to track the chronology of the story of civilization. This timeline mirrors the scope of The Story of Civilization text book, beginning with the Renaissance and continuing to the present day. Within these bookends, children will be introduced to the the heroes and scoundrels of the ages, including Christopher Columbus, Henry VIII, Pius V, Louis XIV, Ignatius of Loyola, Napoleon, Jan Sobieski, Stalin, John Paul II, and many, many others. A fun “Timeline Trivia” section can be found on the back for students to test their knowledge! The timeline features a laminated format capable of being written on with a sharpie and is 36" x 18" when unfolded.